Last week, David Adler published an article in the New York Times, in which he summarized his research on the relationship between political ideology and hostility to democracy. The recent rise of various populist movements in the West has caused many to fret that democratic norms and institutions may be at risk. The conventional wisdom is that extremists on the far-Left or far-Right are most threatening to these norms and institutions. But the conventional wisdom, Adler argues, is wrong. In the working paper he presents in the New York Times, he contends that, despite what pundits would have us believe, it’s actually centrists who are the most hostile to democracy and most supportive of authoritarian alternatives. As soon as the New York Times published his op-ed, Adler’s findings were promoted and circulated on social media by those on the Left and Right weary of being held responsible for democracy’s predicted demise. If—like me—you are not a centrist, then you may have found this gloating understandable. Centrists routinely accuse their political rivals of undermining democracy, and now here was evidence purportedly demonstrating that they are the ones most likely to support authoritarianism. The supercilious air of pragmatic rationality that centrists award themselves can certainly be annoying. So can their habit of relying on an implied argument to moderation—the fallacious assumption that any position which “splits the difference” is, ipso facto, the most reasonable. Sometimes the correct position is somewhere between two extremes, but more often than not this isn’t the case. The reasonable position on slavery, for instance, is not located somewhere between a thoroughgoing defence and an absolutist commitment to abolition. That abolitionism was once considered extreme didn’t make it any less correct than it is today, now that abolitionism is the default position of every humane person. So, I sympathize with those who uncritically embraced this new narrative and seized upon the opportunity to give centrists a dose of their own medicine. But, having read Adler’s paper and looked at the data, we should probably resist this temptation. Perhaps Adler is right and centrists really are distinctly hostile to democracy. But in my opinion this claim is not well supported by his research. Before I explain why I think so, however, I want to make clear what exactly is the claim that Adler is making. Indeed, I have found that people were often confused about this when they talk about his paper, including at times Adler himself. Now, while I agree that the elites are typically disdainful of democracy (although I don’t think they have much sympathy for the kind of authoritarian alternatives Adler is discussing in his paper), I don’t think this is particularly true of centrist elites. Indeed, in Adler’s classification (about which, more in a moment), Oettinger would presumably be center-Right and not centrist. Yet it is people in the center—not on the center-Left or the center-Right—who Adler claims are the most hostile to democracy. So, with that in mind, let us turn to the substance of his argument. In order to make his case, Adler has relied on the World Values Survey (WVS) and the European Values Survey (EVS), which are very large surveys asking people in several countries various questions about politics and values. Both surveys include a question asking people to position themselves on the Left-Right spectrum by picking a number between 1 and 10. Adler created five groups depending on their answers. Those who answered 1 or 2 were classified as “far-Left,” those who answered 3 or 4 as “center-Left,” those who answered 5 or 6 as “center,” those who answered 7 or 8 as “center-Right” and those who answered 9 or 10 as “far-Right.” He then looked at how people in those groups answered various questions about democracy. These figures are taken from Adler’s paper and they show a clear slump in the middle where people who position themselves at the center of the Left-Right scale are located. This graph shows the proportion of people in each group answering “fairly good” or “very good.” Except for those Europeans who place themselves at the far-right of the political spectrum, we again find that, according to this measure, centrists are the group with the highest level of support for a strong leader. Adler looked at a bunch of other questions and also performed a regression analysis that included age, income and education as covariates to make sure the effect wasn’t confounded. This appeared to confirm that centrists are more hostile to democracy and more supportive of authoritarian alternatives than other people, even when controlling for these socio-economic variables. In other words, it’s not that people who place themselves in the middle of the Left-Right political spectrum tend to be less educated, older or have some other characteristic that is associated with lower support for democracy. According to Adler, there is something rotten with the center itself. There is more in Adler’s paper, which I encourage you to read, but you probably get the general idea by now. The data Adler marshals appear to be clear and unequivocal. So what’s the problem? First, while Adler’s regressions show that centrism is more strongly associated with anti-democratic attitudes, the coefficient of determination or “R-squared” is tiny. When the variables for age, income and education are not included, it ranges from 0.006 to 0.02. In other words, political ideology, as defined by Adler, explains only between 0.6 percent and 2 percent of the variance in democratic attitudes in the data, which is really not much. If all you know about someone that he is a centrist—or that he belongs to any of the five groups defined by Adler, for that matter—you basically can’t predict anything about how much he supports democracy. (Well, you can predict that he probably supports democracy quite a lot, because most people in every group do, but you can’t predict with any certainty how much less he supports democracy than anyone else.) So, even if the phenomenon Adler claims to have identified were real, it’s not clear that it would be very significant. But it’s not also not clear that the phenomenon in question is real. Now, in Europe, centrists are somewhat more likely to agree/agree strongly with the statement than those on the far-Left and about as likely to do so as those on the far-Right. In the US, they are still less likely than most groups to agree/agree strongly that democracy is a good/very good political system, but now that proportion has diminished to about the same as the proportion of those on the far-Right. Perhaps more importantly, more than 89 percent of centrists in Europe and more than 77 percent of them in the US do, which is pretty high. Are we to understand that anyone who agrees that democracy is the best political system or that it’s a good political system, but doesn’t agree strongly or affirm that it’s very good, is hostile to democracy? This seems to be a tendentious interpretation by Adler of his own data. To many people, this kind of technocracy is unlikely to sound very democratic. But here it’s people at the extremes that seem most supportive of it. I suppose this graph is consistent with a populist center, but if you want to interpret this as evidence of anti-democratic attitudes, you will have to make some pretty controversial assumptions about the nature of democracy. Besides which, even if we allow that opposition to technocracy is evidence of anti-democratic attitudes, this also applies to the center-Left and the center-Right, where people don’t seem to find the prospect any more appealing than centrists. Now it’s centrists who are most supportive of technocracy in the US. 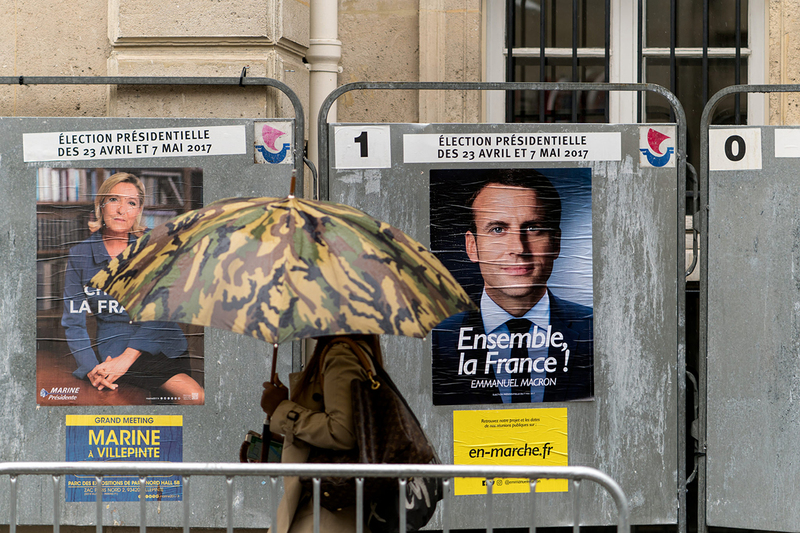 In Europe, the far-Right is more supportive of technocracy but the differences between groups are much smaller. Personally, I’m not sure what to make of this, but I think it does at least show that the data are ambiguous. Another problem is that the question of whether or not the data support Adler’s theory depends on how people are classified. As we have seen, based on the question in the EVS/WVS that asked people to place themselves on the Left-Right spectrum, Adler created five groups. But that isn’t the only possible—or even the most obvious—option. We might also classify those who answered 1 to 3 as “Left,” those who answered 4 to 7 as “center” and those who answered 8 to 10 as “Right.” Adler might object that his taxonomy is preferable because it’s more granular or because, under his system, each group is assigned the same number of positions on the Left-Right scale. But whether a given scientific taxonomy is good or bad does not hinge on those kind of a priori considerations. A valuable scientific taxonomy hinges on its explanatory power and it is not obvious that Adler’s classification has more explanatory power than the one I just proposed. Besides, if we’re trying to test the conventional wisdom that it is extremists who threaten democracy, it makes sense to single out those at either end of the Left-Right spectrum and lump everyone else together in the same group. Now centrists no longer look so terrible. In Europe, every group is about as likely to agree that democracy is the best political system, while in the US, centrists are barely less likely to say it’s a good/very good political system than people on the Right. On the other hand, the situation doesn’t change much when you look at support for a strong leader, so I haven’t shown the graph for that. The final issue with Adler’s theory is perhaps the most problematic. As we have seen, in order to classify people in five groups, he used a question in both the EVS and the WVS that asked people to place themselves on the Left-Right political spectrum. But in the case of the EVS, respondents are also asked for which party they would vote if elections were held today. In each country, parties have been placed on a similar 1 to 10 Left-Right scale by the people who administered the survey. So there is also a variable in the data that corresponds to the position on the Left-Right political spectrum of the party which respondents would vote for if elections were held at the time of the interview. What happens when you use that variable to classify people into Adler’s five groups? The effect disappears. Now it’s the far-Left that seems to be the least supportive of democracy. Although, again, it’s worth bearing in mind that the proportion of people who say it’s a good system is very high in every group, so it’s not as if this graph showed a crisis of democracy in some groups. Again, we find that centrists don’t appear to be the most supportive of this kind of authoritarian alternative to democracy. As before, the far-Right is more supportive of it, but now so is the far-Left. In this case, support is pretty high across the political spectrum. What these data reveal is a very imperfect match between respondents’ political self-identification on the Left-Right spectrum and the position occupied by the parties for whom they intend to vote. This should not be especially surprising. People regularly engage in strategic voting and therefore don’t always vote for the party that is ideologically closest to their personal beliefs. In some countries and for some people, there may not even be a party that represents their views. But a correlation of 0.46 still strikes me as very low. Part of the story could also be that many people are simply clueless when it comes to accurately evaluating their own politics. Since few people like to think of themselves as extremists, it may be that quite a few people who place themselves in the middle of the political spectrum actually hold views that objectively put them at one extreme or the other. One could also argue that, in order to determine how attitudes toward democracy are distributed across the political spectrum, we should focus on the people who vote in accordance with their self-position on that spectrum, because they are the most committed representatives of each ideology. As the latter part of this essay has explained, Adler’s conclusions seem to hinge in large part on how one measures and/or classifies people’s ideology. Although they are fairly diverse, the Left and Right still have relatively well defined intellectual traditions. It’s less clear what the equivalent is for the center. So it wouldn’t be surprising if the group of people who place themselves in the middle of the Left-Right political spectrum were more heterogenous and less coherent than the other groups in Adler’s taxonomy and didn’t really capture any well-defined political ideology/group. It may therefore just be harder to isolate those people we have in mind when we talk about “centrists” in this kind of survey data. This is a problem Adler could potentially address by looking at other attitudes people in that group express in the WVS/EVS and checking whether they cohere with what we’d expect of centrists. In turn, this will probably require a few more theoretical developments about centrism, so we know exactly who and what we’re talking about. It’s very difficult to figure out what exactly is going on in the data and, unless Adler fixes these measurement/conceptual issues and looks at the data more systematically, I don’t think we should have much confidence in his conclusion that centrists are most hostile to democracy. As much as I would have liked to chide them for their lack of democratic commitment, I don’t think Adler’s paper has given me a good enough reason to do so. However, it is also worth noting that, even if I’m right to be skeptical of the claim that centrists are uniquely hostile to democracy, there is also not much in the data to support the view that extremists are uniquely hostile to democracy either. Given how widespread this view seems to be, especially among centrists, I think Adler will have made a valuable contribution even if that’s all he can show. Centrists may have no reason to be embarrassed, but they also have no reason to feel superior. With the rise of various populist movements in Europe and the US in recent years, many people have expressed the fear that democracy might be in danger. My own view is that this fear is vastly exaggerated and reflects a fundamental misunderstanding of what is going on. Indeed, it seems to me that elites across the West have ignored the legitimate concerns of their citizens for a very long time, which is what gave rise to a populist revolt in many countries. But this revolt is likely more a symptom of the lack of democracy than a sign that people are fed up with it. I don’t think there is much chance it will lead to the kind of dystopias the sophisticates fear, although they may end up losing some of their influence. So I don’t find it particularly urgent to figure out who is about to deal democracy its death blow. But even if I’m wrong and democracy really is at risk, you probably shouldn’t be so quick to look to the political center to find the hand that will wield the knife. If I understand Adler’s methodology correctly, another problem is his using self-identification to determine where a subject falls on the spectrum (i.e., “Both surveys include a question asking people to position themselves on the Left-Right spectrum by picking a number between 1 and 10.”). It seems to me how persons view themselves in this regard is heavily influenced by the social and information environments in which they live. It would probably be more useful to ask questions about pertinent topics/issues and then have the researcher determine where a person resides on the spectrum given the current situation of the sample group. If anyone is interested on where they might fall, I recommend The Political Compass. I took the test several years ago and wound up in the Left-Libertarian quadrant, but close enough to the origin of the graph to call myself a centrist. Yes, this is what immediately struck me. Both surveys include a question asking people to position themselves on the Left-Right spectrum by picking a number between 1 and 10. I think this is part of the problem – I’ve met plenty of people I think are extremists who define themselves as centrists. And let’s not ignore many people would have a tough time speaking at length about the underpinnings of left and right, indicting to me that they have, at best, a superficial knowledge. Perhaps it would have been better to first have the respondents complete a survey such as Political Compass that would establish their scores. Further, is the left-right dichotomy is proper one? Why not the authoritarian-libertarian dichotomy? We should evaluate the questions themselves too. For example, let’s take the idea of a flat tax, either on income or as a VAT (sales tax). Many state this tax is regressive and unfair. Yet, this tax also treats all payers equally – we all pay the same rate. Arguably, it most aligns with the principle of one man one vote. I suspect your dificulty is that populism too often, as today, predominately represents nativist, xenophobic, and racist sentiments, which in modern Western societies cannot be addressed but by anti-democratic means. I can’t think of any country where such “populism” is embraced by a majority of citizens. But “nativism, xenophobia, and racist sentiments” aren’t how the word “populism” is defined. I mean, if the author were referring to nativism, xenophobia, and racist sentiments, why not use those words rather that the word “populism”? What is it about nativism, xenophobia, and racist sentiments that you think can’t be addressed but by anti-democratic means? Are you saying that in order to defeat nativism, xenophobia, and racism we have to do away with democracy? Or are you saying that those things and democracy are incompatible? If the latter, why do you think that? Can a people whom you’d characterize as nativist, xenophobic, and racist not vote to have policies you’d deem to be nativist, xenophobic, and racist? And aren’t nativism, xenophobia, and racist sentiments found in Japan, Israel, China, Saudi Arabia, and other countries? So, what I’m saying is nativism, xenophobia, and racism are antithetical to the ethos of modern liberal democracies, though not so with respect to the strict definition of a democracy. If you can think of an example of a present or recent democracy of this type where such things can flourish without a strongman in charge please let me know. Trump is a good example. This wannabe strongman keeps running into institutional and legal obstacles in trying to implement policies that would reflect these things. Of course, a strongman may well flourish in other relatively immature democracies lacking strong institutional foundations. Erdoğan is a good example. Keep in mind the article is about a study based on European and U.S. surveys that indicates centrists are most opposed to democracy. When most folks think of democracy it’s usually within the context of their existing experience, not in respect to dictionary definitions. With you a thousand percent on the ability to edit (ha), but disagree with you otherwise. There are plenty of recent and present democracies of the type you say doesn’t exist. E.g., I mentioned Israel, which is extremely nativist, xenophobic, and even borderline theocratic — or, at least, if Western countries allowed their religious leaders the same powers Israel does rabbis, they’d be considered “theocracies”. The same goes for many ME countries. Japan has notoriously restrictive immigration policies. Third World immigration policies haven’t really been tested since few want to move to those places, but Mexico’s immigration policies would be considered “racist” if implemented in the U.S.
Re. your idea that Trump is a “wannabe strongman”: strongmen increase governmental powers, not decrease them, so I have to disagree with you there. Mouffe has something important to say about this. We need political parties on the Right and the Left to embody those ideals, and to defend them vigorously in agonistic combat. If they don’t, the populace can no longer identify with them, and so their support fractures in just the way we’re seeing here. This leads to support for populists, but more importantly, it denies the populace an acceptable outlet for their political tensions. If the Left and the Right are both drifting towards the Centre and agreeing with each other to the point that it abrogates their core values, then the tension that is inherent in every society between its disparate groups and their interests cannot play out. The populace is then forced to find other outlets for that tension, and that is when violence occurs. Doesn’t a commitment to democracy also require a commitment to honest and contemplative dialogue? I would posit the mark of a modern centrist is little more than one who is willing to balance a principled vision with some modicum of openness and empathy when encountering opposition. Maybe our modern democracies would be best served by the emergence of a center that plays the role of civil arbiter between polarized ideologues – standing as a bulwark against zealotry. Yeah… thats a problem. We live in a world where a lot of people consider Trump “far right” and Bernie Sandards “far left.” When really, they are not that far from each other. In reality, practically no one is far right and far left people really only exist in acadamia or as reddit tankies larping as soviet revolutionaries. What people see as left/right is completely subjective, which is why I dislike using the terms. It’s imprecise in extreme. If you agree with someone on something it’s a fine short hand on something you already understand, but is unhelpful otherwise in a larger conversation. Sorry, but how did this guy determine that the majority of correct policy positions are extreme ones? A misstatement of most thoughtful centrists’ positions. We don’t advocate “moderation as solution” for its own sake, but rather “gradualism as process” as the correct way to arrive at a solution. This is certainly the case with slavery as well. Certainly some gradual ending of slavery would have been preferable to 600,000 dead people, no? Basically to be a centrist means that you almost never advocate getting out the torches and pitchforks as the correct solution to a given problem, because such “solutions” usually cause just as many problems as they fix. Sometimes you are forced to this end, but it’s almost always by the intransigence of extremists (people who absolutely refuse to give up the nonsensical “right” to own other human beings even if they received compensation for their “property” loss & who contrived to maintain an artificial stranglehold on Congress such that a majority of citizens opposed to slavery could never legally undo it). This seems like a lot of words to say nothing at all. Centrist compared to what? Are they really “centrist?” What does that mean? What do each of these people define democracy as? For example: In the US we’re supposed to have a republic. Depending on how the author or any of the polled people describe anything, this could mean anything you want it too. Waste of e-paper if you ask me. We use labels like Left/right as short hand, but without getting into the details of what ideas are being promoted it’s impossible to really say what it means. You’re point of view defines what you consider to be left, right, or betwixt. When I read the NYT article it struck me that it used a simple linear scale from left to right. Conservatives are often pro-economic freedom and anti-social freedom, and liberals are often the opposite. The “center” includes both libertarians and authoritarians, as well as the fence riders than Lemoine mentions. If you look at a Nolan Chart, which scales both social and economic freedom along perpendicular sides of a diamond, you see what I mean. What the study data seems to say is that there are now more authoritarians than libertarians. Centrist is a fairly phony label. You go down many issues of the day and in many cases there is no feasible middle path. I find many so called centrists to be either uninformed, uncaring, or unprincipled. “People who hold power or who identify/sympathize with the group that holds power, are prone to support the implementation of measures which reinforce that group’s authority when they sense that its authority is being challenged”. Political opinions are sometimes hard to classify. Concerning politicians, common sense suggests a lot of overlap between very bad character and bad policies. Most of centrists are indeed, moderate-right or moderate-left. But centrists can be nazi and environmentalist. Most of this ideological-exclusive labels are not exactly absolute in space, time and perfect dichotomy. For example, nazis were champions on environmentalist causes, or at least partly speaking. In other hand, communists has been known as silent enemies of environment. communists has been known as silent enemies of environment… with such heavy industries during 90% of their history.